WILSON BOYS BEAT WHITTIER FOR SECOND TOURNEY TITLE: They don’t give out league or divisional boys basketball championships in December, but if they did, Wilson High School might be on the top of the list. 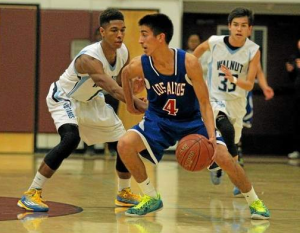 COVINA TOURNEY CHAMPIONSHIP: The Los Altos boys basketball team fended off a comeback from Walnut on Tuesday night to win the Covina Tournament with a 55-52 victory in a game between two Hacienda League teams. Christian Espinoza had 17 points for the Conquerors (9-3), along with seven assists and five rebounds, and was named tournament MVP. He was guarded all night by Zuri Williams, who limited him to seven shots in the first three quarters. Willaims had 15 points of his own, along with seven assists. Los Altos led by as much as 10 in the third quarter, but a pair of consecutive 3-pointers by Jefferey Huang in the final three minutes of the game gave the Mustangs their first lead since the first quarter. Williams assisted on both of those treys and made two of his own in the final quarter. COVINA TOURNEY SEMIFINALS: Los Altos guard Christian Espinoza tallied 30 points in the first three quarters, but his only five points in the fourth quarter, which all came in the last 30 seconds of the game at the free-throw line, were what clinched the Conquerors’ 71-69 victory over Cajon Monday night in the Covina Tournament semifinals. Espinoza finished the game with 35 points, and made 14 of 18 free throws with six rebounds and four assists. The senior guided his team to a 21-4 run that carried over in the third quarter after a 13-3 run to end the first half. NOGALES TOURNEY FINAL: The West Covina High School boys basketball team gave it everything it had in the 50th Annual Nogales High Christmas Tournament championship game, but fell short to a much taller Santiago of Corona team, 78-68, Tuesday night. With West Covina (8-6) holding a six point lead late in the third quarter, 53-47, Santiago (12-1) went on a 9-0 run at the end of the quarter to lead by three, 56-53, and never trailed the rest of the way. The Bulldogs, who were led by all-tournament sophomore guard Nick Hart (game-high 27 points), got within five points, 68-63 with 1:51 remaining, but Santiago built up an insurmountable 10-point lead, 73-63, with just over a minute to play in the game. “We were right in that game,” West Covina assistant coach Chris Lopez said. “A couple of baskets go in and we were right there. NOGALES TOURNEY SEMIFINALS: The West Covina High School boys basketball team held off a furious comeback by Montebello and held on to win 70-65 in a semifinal game of the 50th Annual Nogales Christmas Tournament on Monday night. Trailing by as many as 20 points early in the fourth quarter, the Oilers (6-6) outscored West Covina (8-5) 30-15 in the final eight minutes. The Bulldogs will play Corona Santiago (11-1), a 70-54 winner over Alta Loma, tonight at 6:30 p.m. for the tournament championship. THE 2014 TRIBUNE ALL-AREA TEAM PUBLISHED IN THE TRIBUNE ON CHRISTMAS DAY! 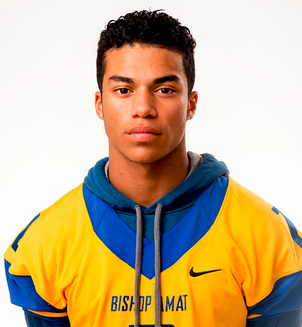 Tyler Vaughns, Bishop Amat, Receiver, Jr. 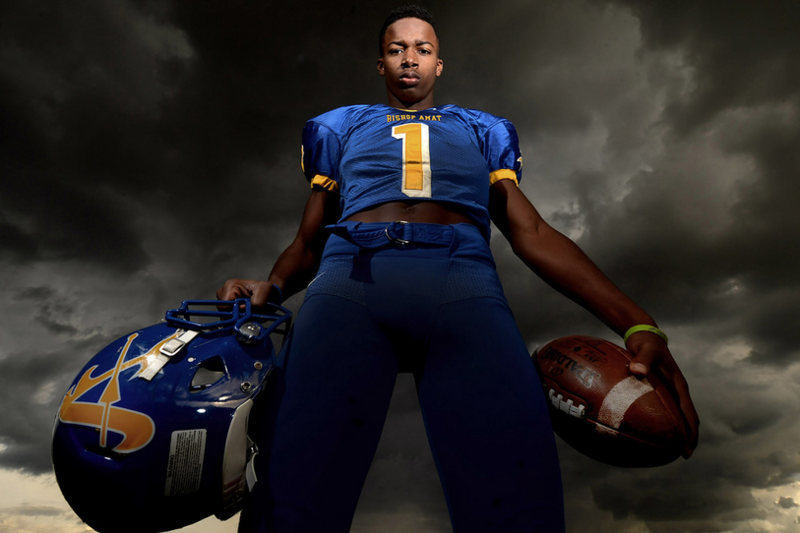 Such is the case with Bishop Amat receiver Tyler Vaughns, who has emerged as the area’s top box office attraction due to his size, flash and ability to make amazing catches while helpless defenders watch in awe. This season, Vaughns was a standout on a team full of them. 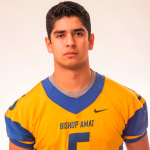 He was the cut-above weapon Bishop Amat used to again become one of Southern California’s elite programs. After leading the Lancers to a share of the Mission League championship and a trip to the semifinals of the Pac-5 Division playoffs, Vaughns is the Tribune’s Player of the Year. “It was a surprise really and I’m thankful for being known as the Player of the Year,” Vaughns said in reaction to the award. “I feel very good about myself being selected to be in this group (of past winners). I’m just very proud of myself.” At 6-foot-3, 175 pounds and loaded with speed and athleticism, Vaughns is a nightmare match up for opposing defensive backs. 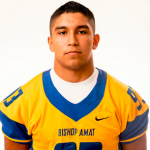 He’s exactly the type of talent that Amat needed to compete with the very best teams in Southern California. And Vaughns didn’t disappoint. Vaughns, a junior, finished with a single season school record 83 receptions for 1,183 yards and 12 touchdowns. He also had 24 tackles on defense and four interceptions. It wasn’t only about what Vaughns could do with the ball in his hands, but also what meant as a decoy. “He (Vaughns) oftentimes would be on the one-on-one side where a lot of teams put their best kid. You have to make a choice. That’s the effect of Tyler. You could defend him and be on top of him, but he’s still going to win the ball from you. Football success is nothing new for Vaughns’ family. His brother Geoff was a standout running back at South Hills in the mid-2000s. 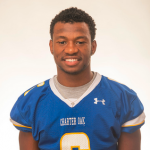 His other brother Aaren was an All-Area standout at Charter Oak just three seasons ago and is now playing at Mt. San Antonio College. Vaughns credits his brothers for much of his success, but he’s done many other things like personalized coaching and playing on the popular Body-By-Tra seven-on-seven team in the offseason. However, the classroom is another area where he’s improved. “I think it got three As and a B in four summer school classes,” Hagerty said. “The reason I say that is because I think that always precedes the results. The bottom line is that I don’t think any of us are surprised by where he is today just because we saw the difference in what his approach was. Vaughns had six games this season with 100 yards or more receiving. He had three touchdown receptions against Crespi. In the playoffs, he caught 13 balls for 157 yards and a score in a win over Lakewood. Vaughns was later named co-MVP of the Mission League. His best game, yardage-wise, came against Alemany. Vaughns caught 10 passes for 165 yards. Even in Amat’s playoff loss to eventual division champ Corona Centennial, Vaughns was a force with nine receptions for 105 yards and a touchdown. Vaughns has already caught the eye of recruiters. 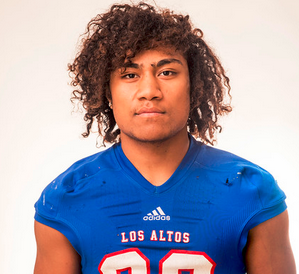 He’s on the short list of several top college football schools and already has offers from Notre Dame, Tennessee and Oklahoma to go along with the locals UCLA and USC. But before any of that happens, Vaughns has one more season at Amat, where he hopes to bring home a Pac-5 championship after coming so close this season. “From December to August, I’m going to go at it like I did last year,” Vaughns said. And once the season starts, Amat should reap the rewards. Kam Brown, Charter Oak, Quarterback, Jr.
Kam Brown didn’t have to look far for advice when it came to being the quarterback of the Charter Oak High School football team this season. Brown’s brother, Kory, knew all too well what his younger sibling was going through. For the two seasons prior to this one, Kory was the Chargers’ quarterback and his huge senior season led to him being honored by making the All-Area Team. This season, his younger brother one-upped him. Kam Brown won the starting job this summer and the rest was history. 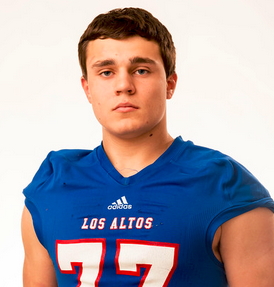 When the dust settled, the junior had final numbers that ranked among the Southern Section’s best at his position. 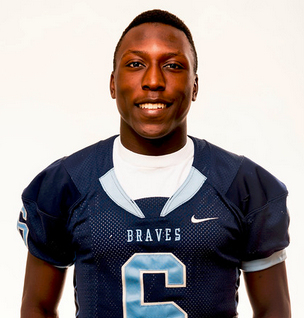 For his efforts, Brown is the Tribune’s Offensive Player of the Year. 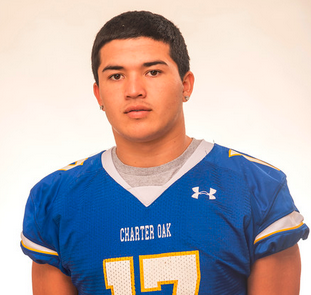 With Brown at the helm, Charter Oak overcame a rocky nonleague showing against some solid competition to end the regular season in its usual place as a league champion. This year, the Chargers won the Hacienda League after averaging 33.7 points per game. 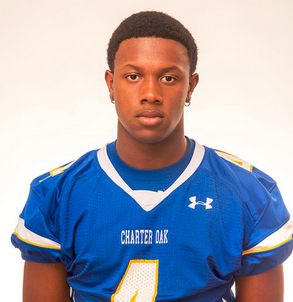 Charter Oak then advanced to the semifinals of Central Division playoffs before losing to eventual champion Colony. Brown piloted the offense that made all of it possible and finished with a whopping 3,484 yards and 33 touchdowns. He also rushed for 324 yards and three scores. If you’re thinking that the Brown brothers spent time in the yard honing their skills and perfecting Charter Oak’s offense, please stop. Kam Brown said it was more like they played the Madden NFL video game and would go over what the defenses were running. At 6-foot-2, 180 pounds and only a junior, Brown has the size needed to play at the next level and should see the college recruiting portion of his career erupt this offseason. Brown wasn’t given the best of situations to start his career. He operated behind what Chargers legendary head coach Lou Farrar called the smallest offensive he’s ever put out and threw to a cast of very inexperienced receivers. And yet Brown had some of his best games at the most opportune times. Against Diamond Ranch in the league opener, he threw for 456 yards. When star running back Zion Echols was hurting Brown stepped up and threw four touchdown passes to beat West Covina. Brown had four games with 300 yards or more passing and 10 with more than 200. He had seven games with three or more touchdown passes and completed just under 60 percent of his passes for the season. 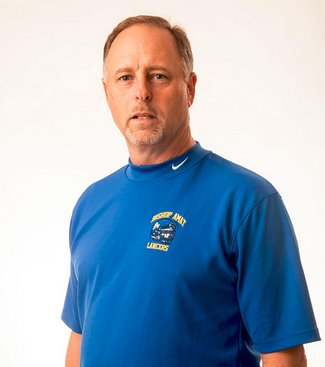 “Ever since the Glendora game, when we lost by one point and we went right into league, it just clicked,” Brown said. “I just started to execute the calls and put up a lot of points. It started to get easier, the game slowed down and I got more confident. Brown said the highlight of the season for him was the Chargers’ win over San Marino in the quarterfinals of the playoffs. Not just because he performed well, but because the offense scored 49 points and the defense did a solid job against the Titans’ high-flying attack. Next season should be even better for Brown. With Echols back with him in the backfield and the top receivers also returning, Charter Oak could be on the verge of something big. 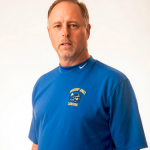 But for now, Brown will keep working hard to make sure the family legacy at Charter Oak continues to grow. 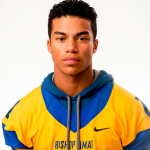 Christian Wiley, Bishop Amat, Linebacker, Sr.
Back in summer, one could have looked at the Bishop Amat High School football team’s roster full of defensive standouts and never guessed that linebacker Christian Wiley would walk away with the most postseason accolades. But 108 tackles later, Wiley is the one who is taking home the best hardware. And he can thank himself for an offseason of hard work and honing his craft to a point that coaches were wowed by his instincts when on the field. 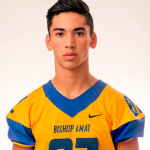 After helping Bishop Amat put itself back among the elite programs in Southern California partly because of a defense that allowed only 21.3 points per game against top-shelf competition, Wiley is the Tribune’s Defensive Player of the Year. “I’m honored, it’s great to be ranked among these superb athletes,” Wiley said of the award. “It’s a great feeling to know that my hard work paid off. Honestly, I wouldn’t have believed this. When I was working in the offseason I wasn’t thinking about the accolades I would receive. Wiley accomplished both his personal and team goals. 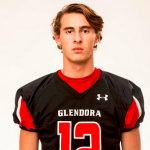 The Lancers won a share of the Mission League championship and advanced all the way to the semifinals of the Pac-5 Division playoffs before losing a close game to eventual champion Corona Centennial. 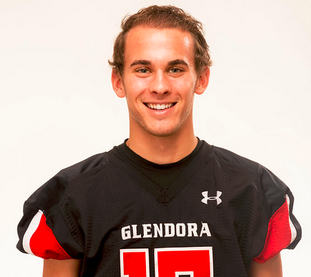 For his efforts, Wiley was named co-Defensive MVP of the Mission League. It was a fitting award for a player who not only got better from his junior to senior seasons, but also played the game at a mental level not typically seen in high school. 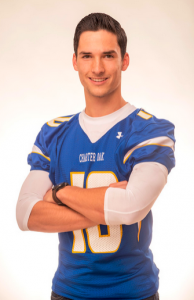 “There’s plays where he looks like he’s blitzing,” Amat head coach Steve Hagerty explained. “He’s not. He’s reading and hitting. There’s a big difference. Wiley’s top performance came against highly touted JSerra in the second round of the playoffs. It was the win that officially put the Lancers back on the map and Wiley made sure his defense put the clamps on one of Orange County’s top teams by recording a whopping 21 tackles, 15 of them solo. 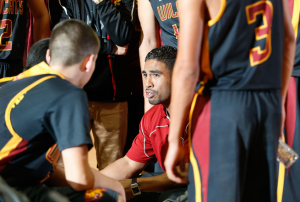 “Both my individual and team highlight of the season was JSerra,” Wiley said. “Because that was probably the best game we played all year. JSerra was a great team. As a defensive unit, we came out there and held them to 10 points. Wiley had two other games in which he finished with double-digit tackles. In the season opener against Santa Margarita, he had 15 tackles, nine of them solo. And against Chino Hills, Wiley had 13 tackles, nine of them solo. 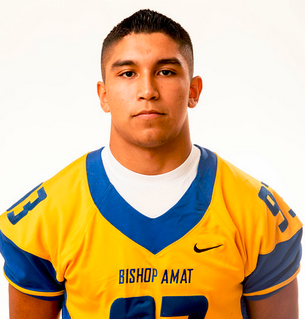 In 2013, Bishop Amat finished in last place in the Serra League and missed the playoffs. Needless to say, the Lancers needed a bounce-back season in a big way in 2014. All Hagerty did was produced exactly and put the Lancers back on the map with a deep postseason run. All that despite being dealt a serious twist late in the year when his starting quarterback went down with an injury. Still, Hagerty guided the Lancers to a 9-4 record, a share of the Mission League championship and a trip to the semifinals of the Pac-5 Division playoffs. 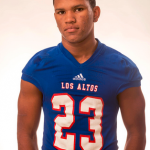 Tyler Nevens, Los AltosNobody knew for sure when exactly Nevens would reach star status on the local scene, but most people weren’t betting on it happening in his sophomore season. Nevens did just that, though, by erupting late in the season as he led the Conquerors back to the CIF finals for the first time since 2003. Nevens finished the season with 1,611 yards and 15 touchdowns. 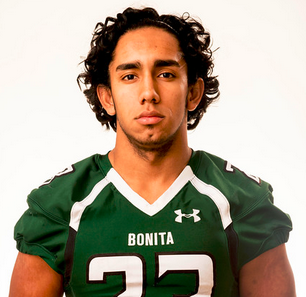 His best games in the postseason with back-to-back 300-yard performances to beat Monrovia and Bonita. 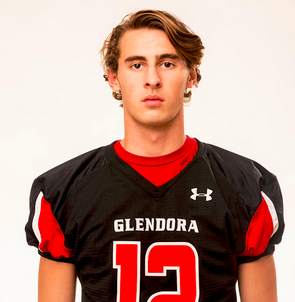 Fink was dynamic with both his arm and legs while helping lead Glendora to a nine-win season. Fink passed for 1,386 yards and 10 touchdowns. He also rushed for 725 yards and 10 scores. For his efforts, Fink was named Palomares League MVP and will be one of the top college recruits in the area next season with offers already from Boise St. and Washington. Echols makes the All-Area Team for the second consecutive season after another outstanding all-around showing. Echols rushed for 1,141 yards and 18 touchdowns. He also had 553 yards and six touchdowns receiving. Echols was named co-MVP of the Hacienda League after helping the Chargers to the league title. Echols saved his best for the postseason and had a 300-yard, five-touchdown performance in the quarterfinals against San Marino. Verdugo finally showed what all the hype was about and emerged as one of the area’s top rushers after rolling up 1,373 yards and 18 touchdowns. He also had 272 yards receiving and two touchdowns. 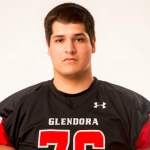 Verdugo was named first-team all-Palomares League for his efforts. 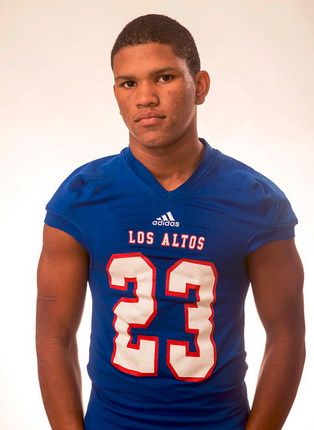 He saved his best for the biggest games, rushing for 170 yards vs. rival San Dimas, 216 yards vs. Kaiser in the playoffs and 158 and 182, respectively, against West Covina and Los Altos, also in the playoffs. Miller was an all-around standout for the Braves and figures to parlay that into a career playing on Saturdays. On offense, Miller had 42 receptions for 689 yards and nine touchdowns. He also rushed for 223 yards and two scores. On defense, Miller picked off five passes, had 86 tackles, 17 passes broken up, two forced fumbles and two fumble recoveries. For his efforts, Miller was named first-team all-Montview League after helping Baldwin Park finish second in league. 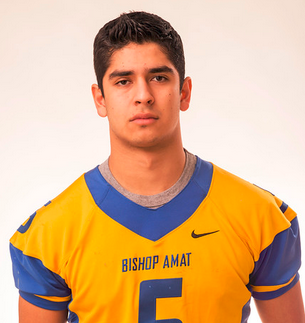 Arconado was a force for Amat both as a receiver and a kick returner. 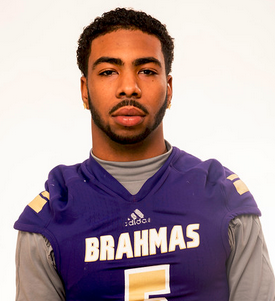 He was one area’s leading receivers with 45 receptions for 1,025 yards and 12 touchdowns. As a kick returns, Arconado piled up 600 total return yards and often set up his team with good field position. Arconado’s best games came in the postseason as evidenced by his nine catches for 212 yards and two touchdowns against Pac-5 champ Corona Centennial. 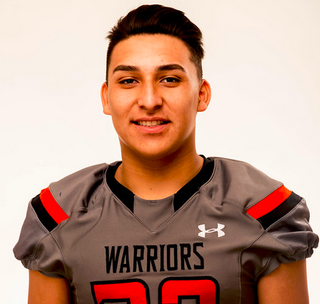 Arconado was a first-team all-Mission League selection. In his first full varsity season, Casteel led the area in receiving with 65 receptions for 1,279 yards and 11 touchdowns. Casteel had seven games with 100 receiving yards or more. Casteel scored touchdowns in all but four of Charter Oak’s 13 games. 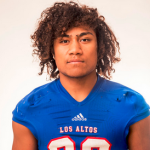 He was named first-team all-Hacienda League and projects as one of the area’s top college recruits over the next two seasons. Diamond Bar may have disappointed this season, but it wasn’t for the efforts of Hull, who shined in a myriad of ways. 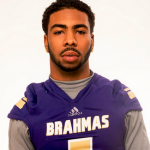 Hull led the Brahmas in rushing with 1,278 yards and 12 touchdowns. He also had 235 yards receiving and two scores, and even threw three touchdown passes. Hull was also dangerous returning kicks where he finished with 526 return yards. Hull also added 38 tackles on defense. He was an all-Palomares League selection. 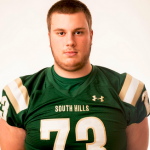 Northup (6-foot-5, 330 pounds) makes the All-Area Team for the second consecutive season. 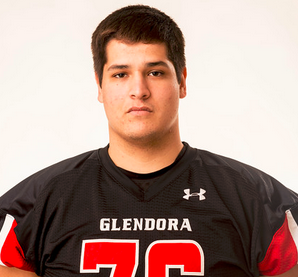 He was a force up front for Glendora, whose offense piled up 2,859 yards rushing with Northup paving the way. For his efforts, Northup was a first-team all-Palomares League selection. 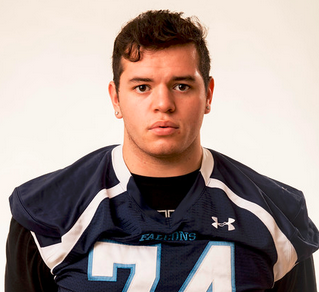 Northup is a verbal commit to Hawaii, but figures to have other suitors come Signing Day. 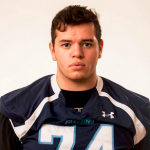 Lopez is an All-Area Team selection for the second consecutive season after once again being one of the Lancers’ top players in the trenches. Lopez helped pave the way for an offense that avearged over 36 points per game against the toughest schedule in the area. Lopez helped protect two QBs who combined for nearly 4,000 yards passing and a ground attack that tallied 1,749 yards rushing. He was named first-team all-Mission League. Villanueva Avina was one of precious few bright spots for Duarte this season. Although the Falcons struggled in the win-loss column, their mammoth offensive guard was often a bright spot. Villanueva Avina, who is 6-foot-5, 300 pounds, helped pave the way for an offense that averaged 28 points per game in league. 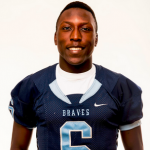 He was a first-team all-Montview League selection and will play next season at Montana. Considered by many to be the area’s top overall lineman, Quevedo was a force for the Bulldogs this season. The 6-foot-5, 275-pound tackle helped pave the way for another strong West Covina ground game, which piled up 3,155 yards this season. Quevedo also chipped in with 18 tackles on defense. Quevedo was named Offensive MVP of the Hacienda League and figures to be a hot commodity come Signing Day. It was no secret what South Hills wanted to do this season. The Huskies lined up and pounded opponents, and with Radecki leading the way, who could blame them? The 6-foot-4, 315-pound guard was versatile enough to shine in both run and pass blocking, and was a major reason why South Hills won the Palomares League. For his efforts, Radecki was a first-team all-Palomares League selection. Watkins put on full display this season why he’s the best leg in the area. He was 11-of-14 on field goals, with a long of 49 yards. He made 42 out of 44 extra points. On kickoffs, Watkins averaged over 54 yards per kick with a whopping 36 touch backs. Watkins was also strong at punting as evidenced by his 35 yards per kick average and a 52-yard long. Watkins put the ball inside the opponent’s 20-yard line nine times. 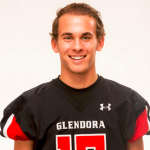 He was an all-Palomares League selection at both kicker and punter. Vasquez’s first full varsity season lived up to the advanced billing. The speedy defensive end piled up 65 tackles and seven sacks to help Bishop Amat’s defense allow just over 22 points per game this season against a difficult schedule. 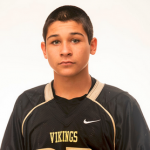 Vasquez’s best game came in the season opener against Santa Margarita when he recorded 10 tackles, eight of them solo. After helping Amat to a share of the Mission League title, Vasquez was a first-team all-Mission League selection. 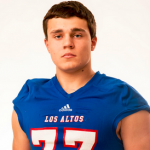 Tolmachoff shined on both offense and defense while leading Los Altos to the best postseason showing of any team in the area. On offense, Tolmachoff helped pave the way for a ground game that piled up nearly 3,000 yards this season. On defense, Tolmachoff recorded 88 tackles and 13.5 sacks. He also intercepted a pass, recovered a fumble and blocked a field goal. Tolmachoff was named co-MVP of the Hacienda League. Sina was one of the best pass-rushing defensive ends in the area this season, as evidenced by his 14 sacks and nine quarterback hurries. He finished the season with 86 tackles, a whopping 31 of them being solo. Sina also chipped in on offense by rushing for 476 yards and six touchdowns. 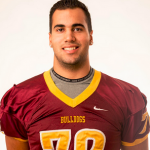 For his efforts, Sina was a first-team all-Hacienda League selection at defensive line. 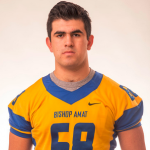 Camargo was once again the rock in the middle of Bishop Amat’s defense and makes the All-Area Team for the second consecutive. 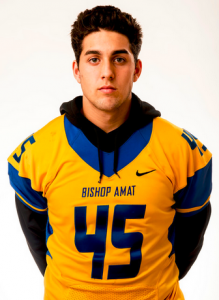 The senior middle linebacker recorded 55 tackles while helping Amat win a share of the Mission League championship and advance to the semifinals of the Pac-5 Division. Camargo also scored 11 touchdowns while on offense. Camargo was named first-team all-Mission League. 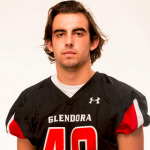 Lewallen was instrumental in Glendora’s success this season by being the rock in the middle of the Tartans’ defense. Lewallen was one of the top tacklers in the area with 180. He finished with double-digit tackles in every game this season and his best performance was a 12-tackle night against Kaiser. For his efforts, Lewallen was named Defensive MVP of the Palomares League. 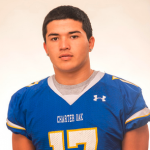 Ortiz was a tackling machine for the Hacienda League champion Chargers. 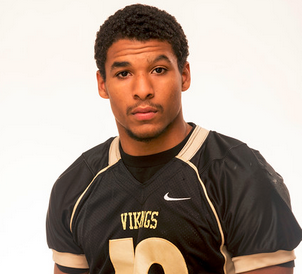 He ranked among the area’s leaders in tackles with 145. His defensive contribution didn’t end there, however, as he recorded four sacks, seven quarterback hurries, intercepted a pass, blocked a field goal, recovered a fumble and caused three fumbles. For his efforts, Ortiz was a first-team all-Hacienda League selection. 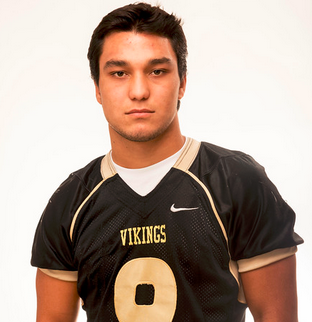 A big reason for Northview’s 11-2 breakout season was the Vikings’ defense where Padilla was a force all season. 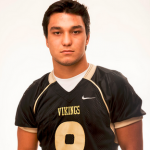 Northview allowed just 14.8 points per game this season and at the heart of it all was Padilla, who recorded a team-high 92 tackles. He also had four sacks and caused two fumbles en route to being named the Defensive MVP of the Valle Vista League. Sidney was last season’s Tribune Newcomer of the Year and followed it with another dynamic season. On offense, Sidney caught 38 passes for 540 yards and three touchdowns. 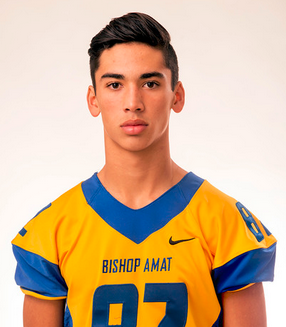 On defense, Sidney was Amat’s top cover corner and picked off four passes while making 47 tackles. Sidney was also a good kick returner, with an average of 31.8 yards per return. He was an all-Mission League selection. Camacho had one of the finest all-around seasons of any player in the area. On offense, he rushed for 960 yards and 12 touchdowns to go along with 34 receptions for 426 yards and four touchdowns. On defense he was a force all over the field with 86 tackles and 9.5 sacks. For his efforts, Camacho was named MVP of the Valle Vista League. Hooper was one of several Northview players to have outstanding all-around seasons as the Vikings won 11 games and swept the Valle Vista League. 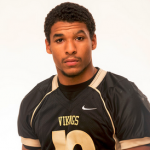 Hooper led Northview in rushing with 1,127 yards and seven touchdowns. At defensive back, Hooper intercepted four passes and recorded 40 tackles, 32 of them solo. Two of Hooper’s interceptions came at the most opportune time in the playoffs. 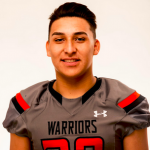 Maldonado was a jack of all trades for the Aztecs this season, especially on defense where his versatility allowed him to play multiple positions in the back seven. 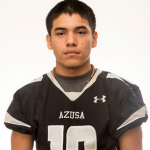 On offense, Maldonado lead Azusa in rushing with 1,262 yards, including over 100 yards in the firs five games of the season. He also scored 14 touchdowns. On defense, Maldonado had 29 tackles, 25 of them solo. He was named first-team all-Montview League after helping Azusa win the league championship. Gonzales led the area in punting with a 38.9 yards per punt average. He put seven of his punts this season inside the opponent’s 20-yard line. His season long was 65 yards. Gonzales was also a force on defense where he recorded 128 tackles. 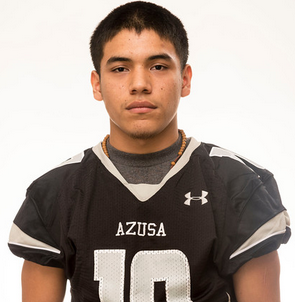 Gonzales finished with double-digit tackles in eight of La Puente’s 11 games. He was a first-team all-Miramonte League selection. QB — Edward Dominguez, El Monte, Jr.
RB — Dylan Thigpen, Damien, Jr.
RB — Jesse Garcia, South Hills, Sr.
WR — Danny Gelalich, Bonita, Sr.
WR — Dominic Ramirez, Azusa, Jr.
WR — David Cotero, Arroyo, Sr.
ALL — Pearnell Smalley, Covina, Sr.
OL — Jake Carmona, South Hills, Sr.
OL — Steve Magallanes, Los Altos, Sr.
OL — Matt Brayton, Bishop Amat, Jr.
OL — Eric Castillo, Los Altos, Sr.
OL — Yousef Hanna, San Dimas, Jr.
K — Jaren Surdo, Charter Oak, Jr.
DL — Ryan Munoz, Bishop Amat, Jr.
DL — Josh Herrera, West Covina, Sr.
LB — Tyler Ili, West Covina, Sr.
LB — Cruz Garibay, Bonita, Sr.
LB — Christopher Osorio, Wilson, Sr.
LB — Carlos Mejia, Los Altos, Sr.
DB — Jacob Underhill, Charter Oak, Sr.
DB — Paul Cooper, Northview, Jr.
DB — Quinn Cotter, South Hills, Jr.
DB — Aaron Austin, Bishop Amat, Jr.
P — Damian Garcia, Bishop Amat, Jr.
Montebello vs. Notre Dame (Riverside), 11 a.m.
Alta Loma vs. Jurupa Valley, 12:30 p.m.
Rowland vs. Vista Del Lago, 2 p.m.
Don Lugo vs. Santiago (Corona), 3:30 p.m.
La Serna vs. Del Sol (Las Vegas, Nevada), 5 p.m.
West Covina vs. Nogales, 6:30 p.m.
Del Sol vs. Alta Loma-Jurupa Valley winner, 2 p.m.
Santiago vs. Rowland-Vista Del Lago winner, 3:30 p.m.
Don Lugo vs. Montebello-Notre Dame winner, 5 p.m.
La Serna vs. West Covina-Nogales winner, 6:30 p.m. Defending champion Gabrielino, which won on a buzzer-beater last year, once again had a shot at the buzzer against Diamond Ranch but this time the ball rolled off the rim and the Eagles dropped a 59-58 decision to the Panthers. The Panthers had trailed 58-51 with 2:21 left in the game when they rallied for eight consecutive points and the victory. Tyler McLean came up with a huge block on a fast-break layup attempt by the Eagles with 1:20 left in the game and the Eagles leading by five points. Al Leyva, who previously was the head baseball coach at Damien and is now an assistant at Mt. San Antonio College, is recovering after successful cancer surgery. He is expected to be ready when the Mounties begin their season in January. The Mt. 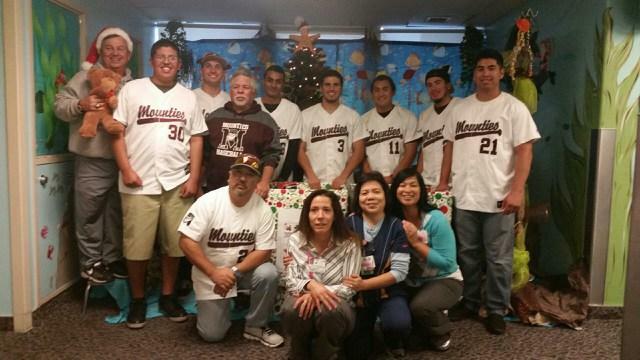 San Antonio College baseball team is getting into the holiday spirt. Members of the team will deliver the toys it has collected as part of its second consecutive toy drive to the children’s ward at Queen of the Valley Hospital in West Covina. The players are scheduled to visit the hospital at 2 p.m.
One0time Tribune Baseball Player of the Year Adrian De Horta will return to his alma mater South Hills to lead a toy drive that will benefit the children’s ward at Queen of the Valley in West Covina. The toy drive will be held Sunday at the South Hills baseball field from 11 a.m.-1 p.m.
De Horta, now playing professionally in the San Diego Padres organization, will be at the field along with members from the current Huskies baseball team to accept any unwrapped toys. The toys will be collected and dropped off at Queen of the Valley later this month.